The No. 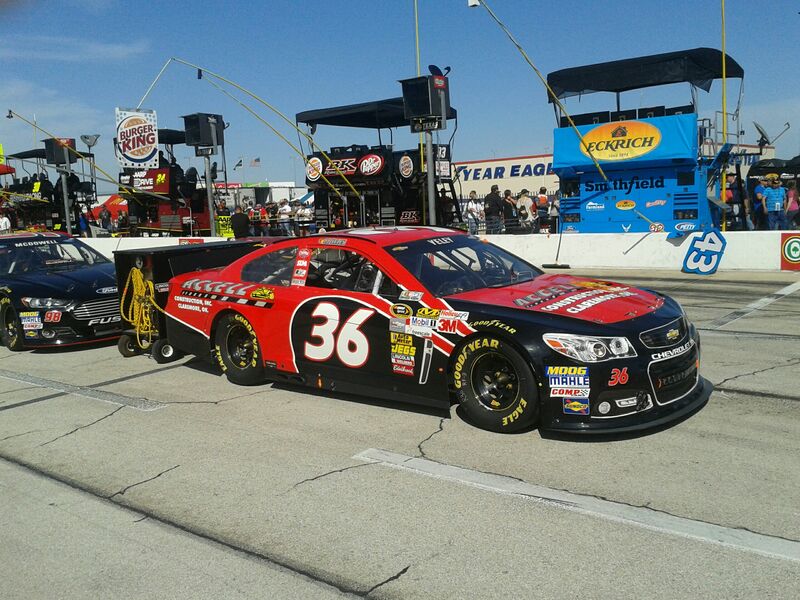 36 Accell Construction Chevrolet was 39th and 26th in first and final practice, respectively. 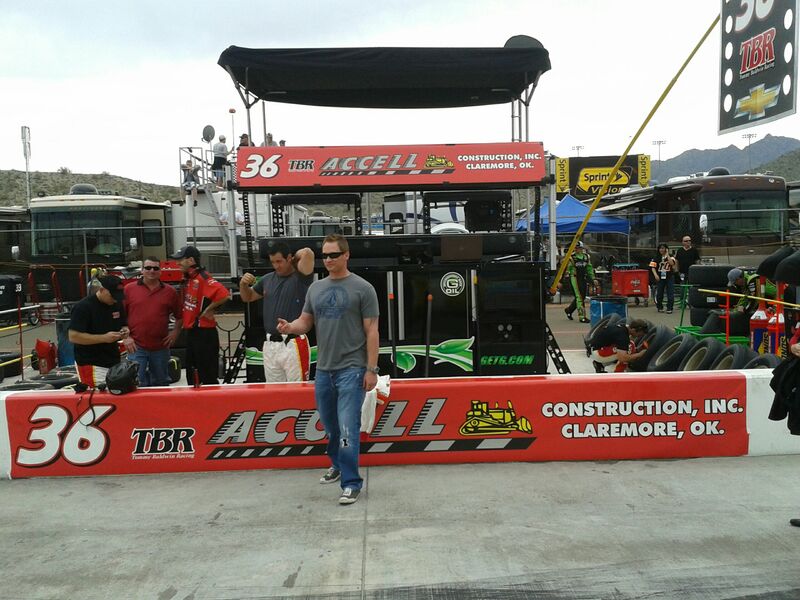 The TBR team worked on race-trim for the majority of the practice sessions. Before qualifying, the team tried a new setup, and Blaney qualified 42nd for the STP 400 with a lap of 32.173 seconds. 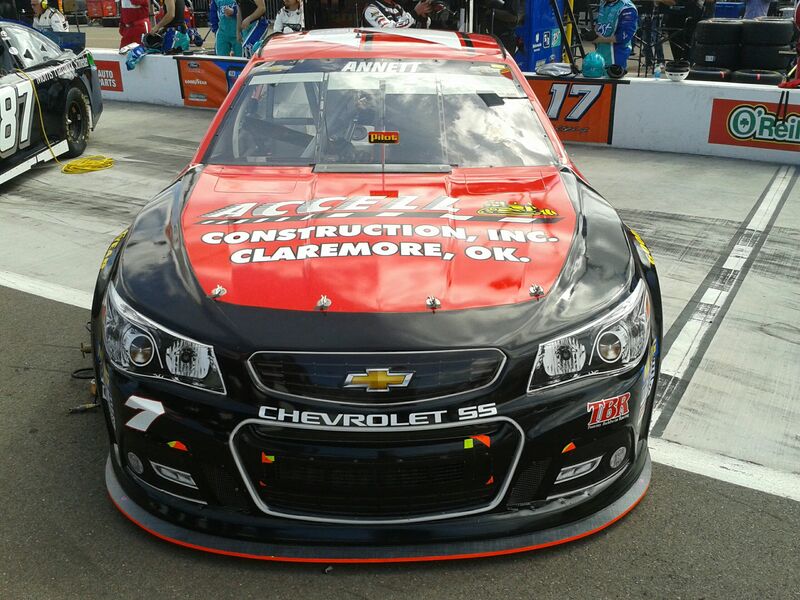 The new setup made the Chevrolet too loose, so the team went back to the original setup for Sunday’s race. The No. 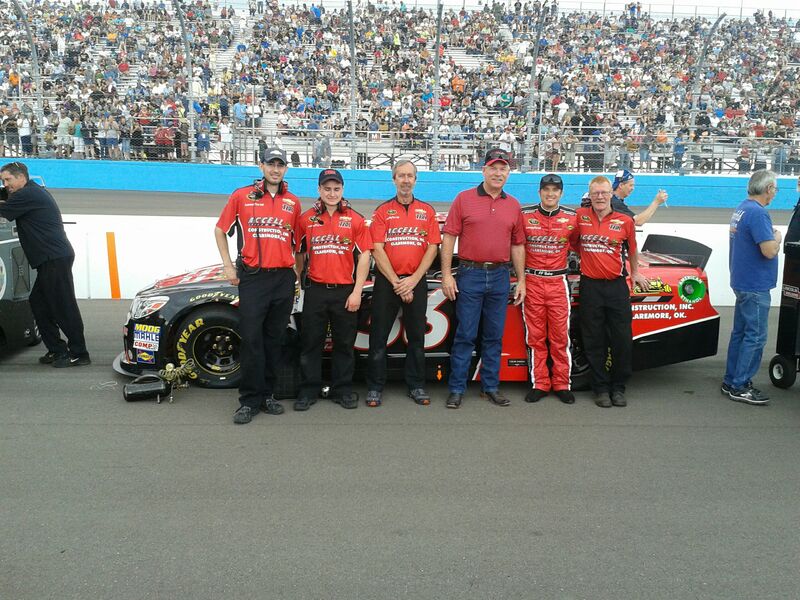 36 Accell Construction Chevrolet took the green flag from the 21st row. Blaney quickly drove the TBR car up through field and took over the 32nd position by lap four. On lap 17, the Hartford, Ohio native radioed that the Accell Construction Chevrolet was loose everywhere but especially loose going into the corner in both turns one and three. The No. 36 fell a lap down by the TBR team’s first pit stop of the day on lap 45. Blaney pulled onto pit road under green flag conditions, and the Accell Construction team changed four tires, added fuel and made an air pressure adjustment. Blaney raced off pit road and held onto the 32nd position. The changes made the car too tight on entry and loose on exit during the beginning of the run and progressed to a loose condition on both exit and entry. NASCAR officials called for the first caution of the day on lap 69 for debris. Crew chiefTommy Baldwin requested the team to make an air pressure and track bar adjustment during the four-tire pit stop. 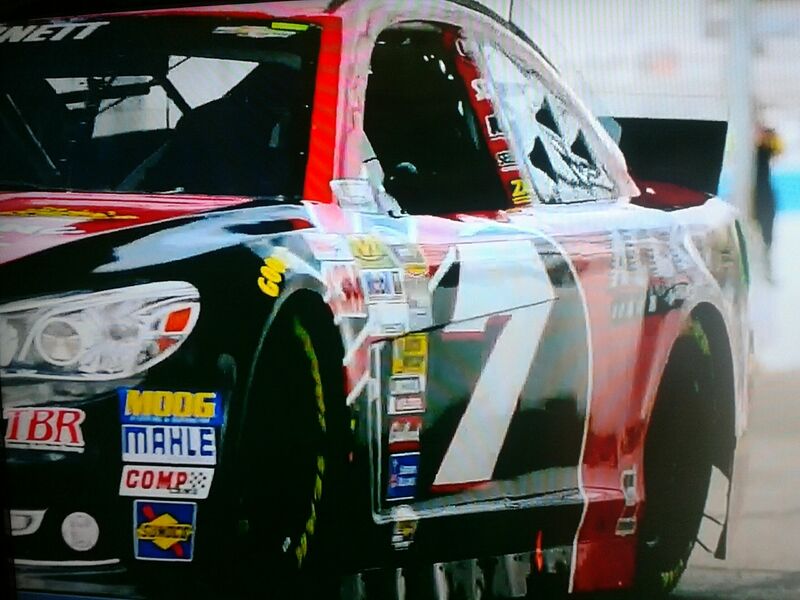 On lap 72, the No. 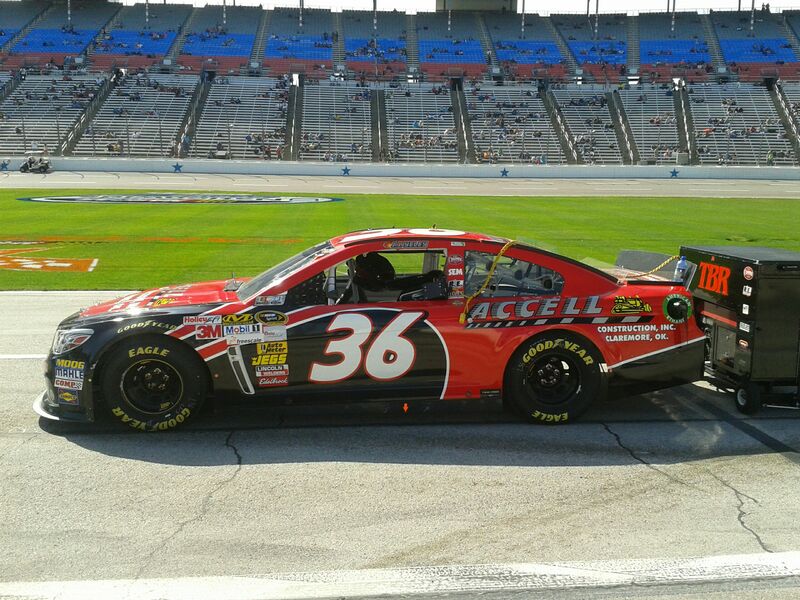 36 Accell Construction Chevrolet restarted in the 32nd position, one lap down. One lap into the run, Blaney radioed that the TBR machine was completely sideways and the loosest the car had been all day. On lap 99, the Buckeye Bullet changed his line and began to run in the bottom groove, before falling a second lap down. By lap 110, he radioed that the car was much better at this point in the run. NASCAR officials called another debris caution two lap later. Baldwin instructed the team to make an air pressure and wedge adjustment on the four-tire pit stop. Blaney restarted in the 32nd spot on lap 115, but five laps later, the yellow flag flew for an accident on the frontstretch. The TBR driver said that the car was definitely tighter on that run, so Baldwin called for him to stay out on the racetrack. 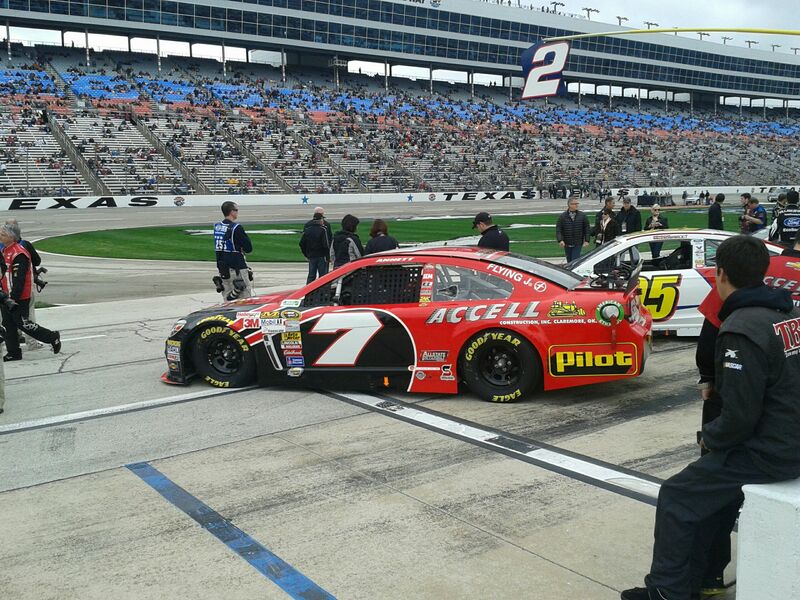 The Accell Construction Chevrolet restarted 31st, two laps down, on the lap-127 restart. Midway through the run, Blaney explained to his team that the No. 36 was just a little too tight. He expressed that he thought the car’s times should reflect the better handling car but they did not. Blaney pitted for four tires, fuel and an air pressure adjustment during a lap-154 caution. Before he pulled onto pit road, he radioed to the team that the car was having issues shifting out of second gear, so he may need some help to get out of the pit box. He restarted 33rd, two laps down, on lap 158. The final yellow flag flew on lap 163, and Baldwin called for the No. 36, currently in the 33rd spot, to stay out. By lap 215, Blaney made his last pit stop of the race while in the 33rd position, three laps down. 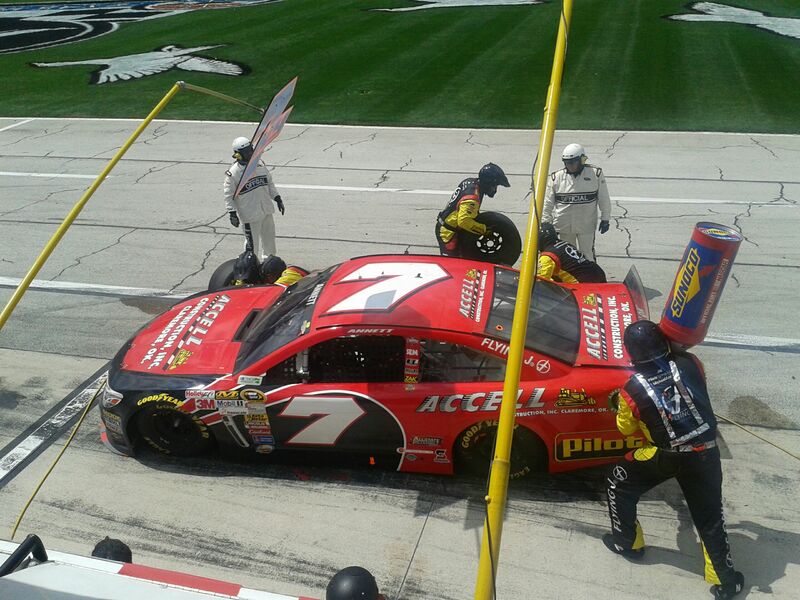 The team changed four tires and added fuel during the green-flag stop. 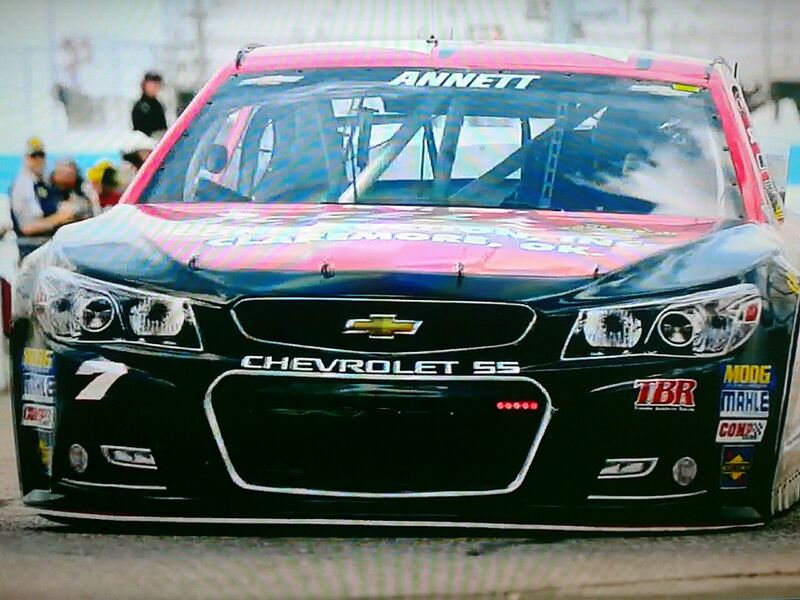 He came back out on the track in the 33rd spot but fell a fourth lap down due to the problem with second gear. On lap 249, he told the crew that during the last few laps the tail of the Chevrolet was swinging. Blaney held on for the final 18 laps and saved enough fuel for the No. 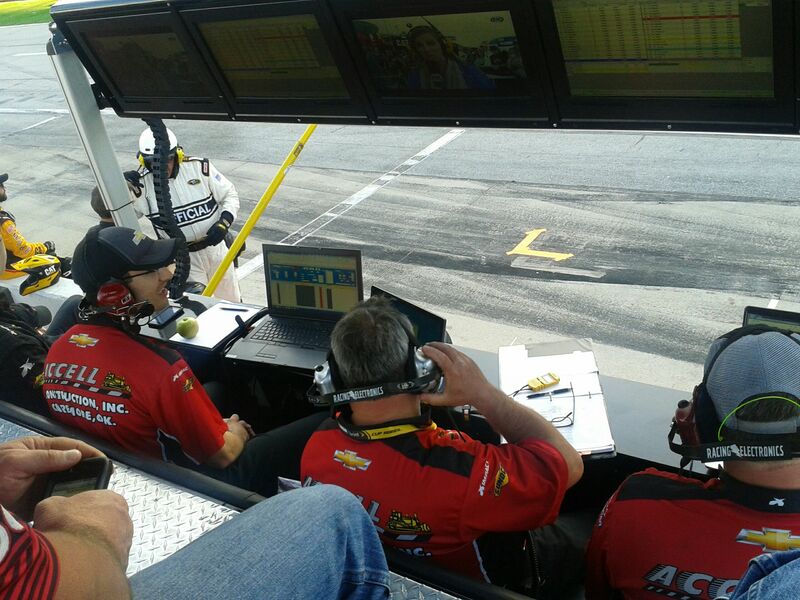 36 Accell Construction to finish in the 32nd position, three laps down. The finish helped the No. 36 Accell Construction Chevrolet gain on the No. 51 in NSCS Owner points. The TBR team is now tied with the No. 51 with 203 points and sits in the 32nd spot. Blaney is also 31st in driver points, 21 points behind Dave Gilliland in 30th. 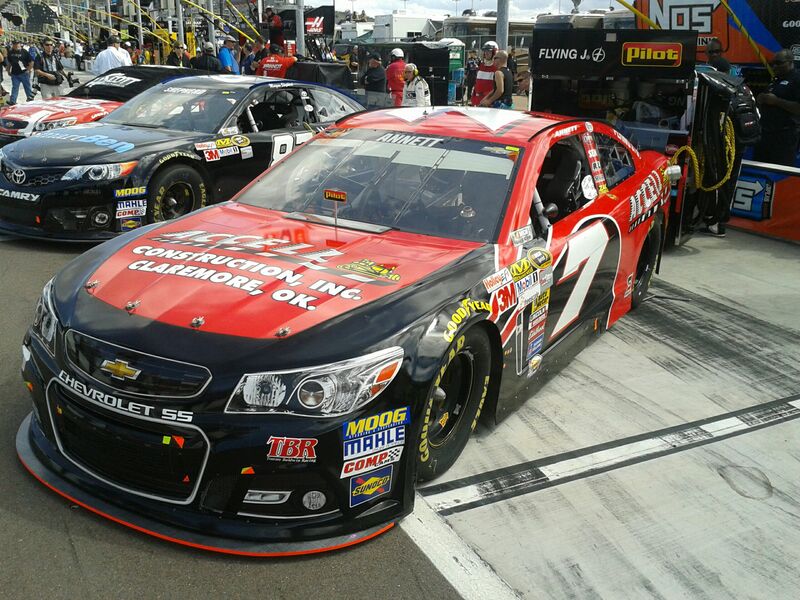 The TBR team will take to the track next week at Pocono Raceway. Blaney will pilot the No. 36 Golden Corral Chevrolet in his 23rd start at the 2.5-mile racetrack on Sunday.